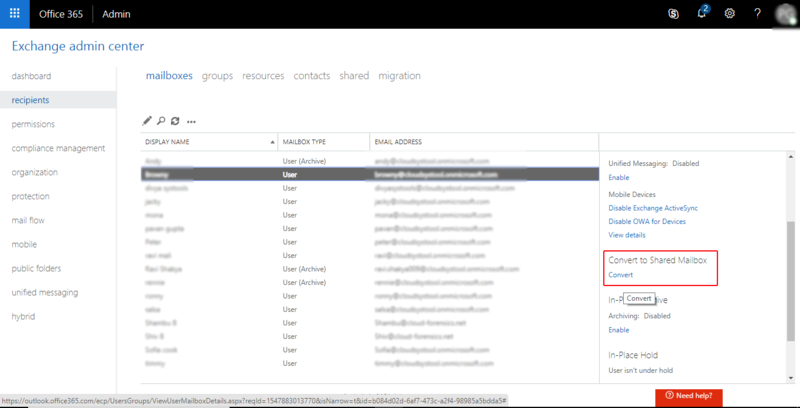 How to Convert Office 365 User Mailbox to Shared & Back to a Mailbox From Shared Mailbox? Suppose an employee has resigned or quit the organization. Now, you are an administrator who has to convert that user’s mailbox into a shared mailbox to free up the mailbox license but, you also need the make the mailbox information available. How will you do this? In order to do so, you need to convert a user’s mailbox into a shared mailbox and all the existing emails and calendars will be retained after this. Now, this shared mailbox can be accessed by multiple members and later you can convert it back into a private user mailbox. 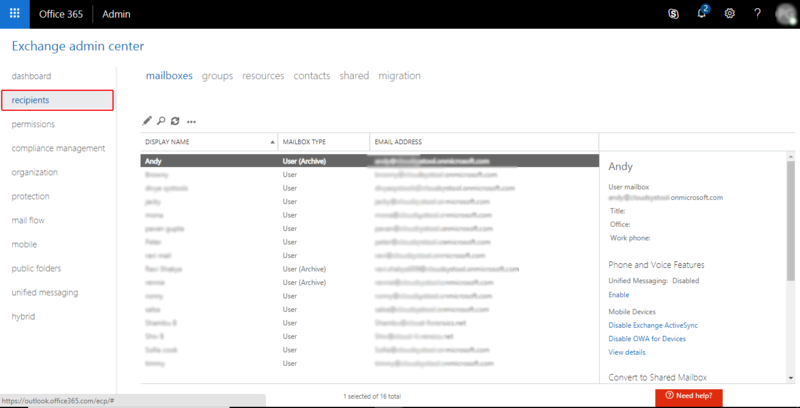 Recommendation: To know shared mailbox & steps to create shared mailbox in Office 365. 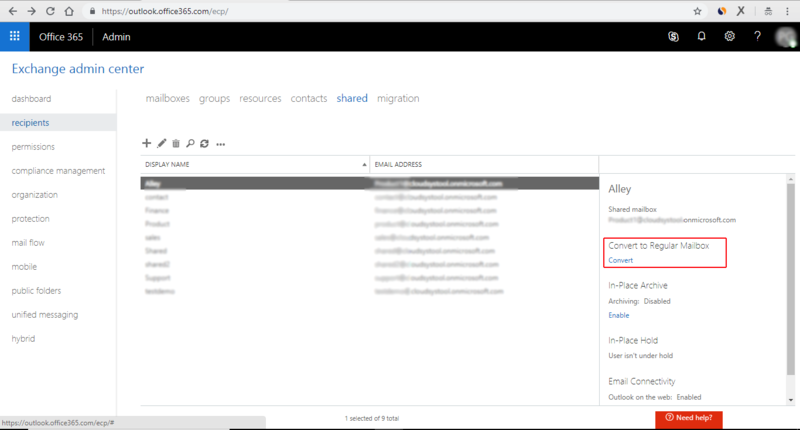 The user mailbox you are going to convert requires an Office 365 license assigned before converting into a shared mailbox. Or else, you will not get an option to convert the mailbox. So, if you already have removed the license then, add it back so that you can convert user mailbox. Once the user mailbox gets converted, you can remove the license from it. It is strictly recommended that do not delete the old user’s account as it is required for anchoring the shared mailbox. But, if you have deleted it previously, check below how to convert the mailbox of a deleted user. A shared mailbox can comprise data up to 50 GB even without assigning a license. In order to save data more than 50 GB, you have to assign a license to it. In order to remove the license, you have to delete so many large sized emails along with attachments from the shared mailbox to minimize its size. 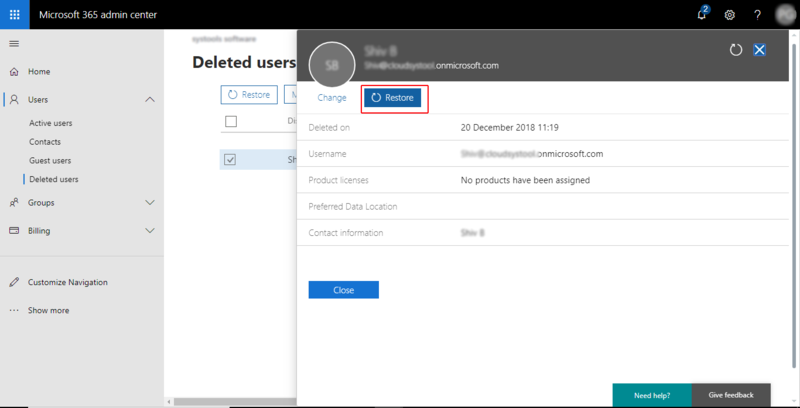 Restoring a user account within 30 days after deletion will restore the account along with entire data. A user can sign in with the same account. 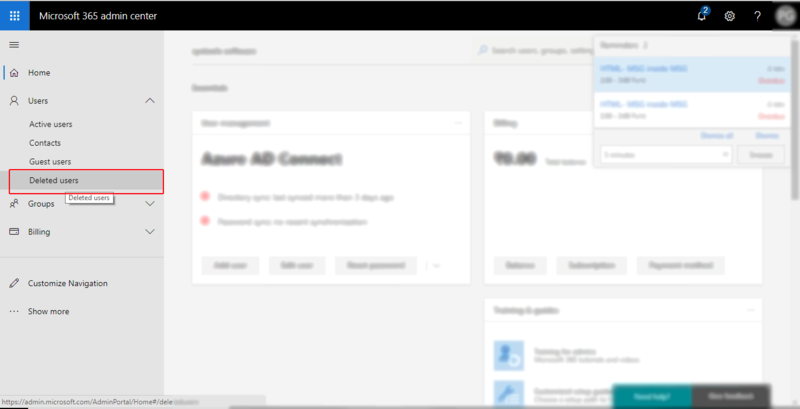 But, make sure there are Office 365 licenses available that you can assign to account and you must have admin permissions to do so. 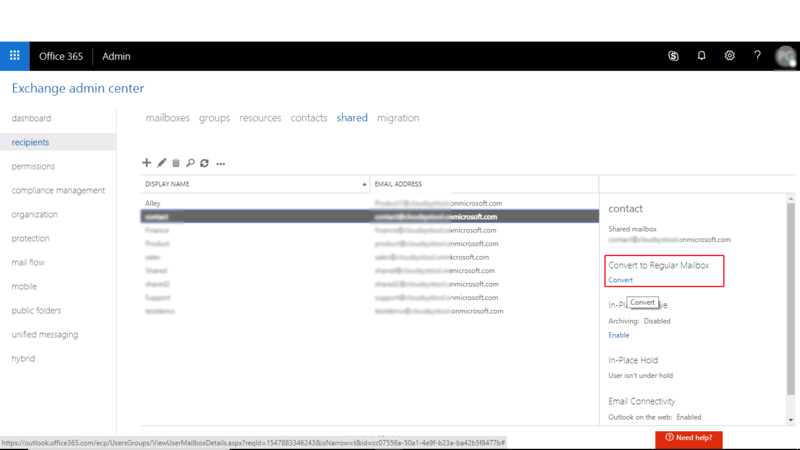 Highlight the shared mailbox you want to convert and click on Convert from Convert to Regular Mailbox (user mailbox). The mailbox set up may take some time and then, a user can use the converted mailbox. After signing in, they can access the emails and calendars of the shared mailbox.